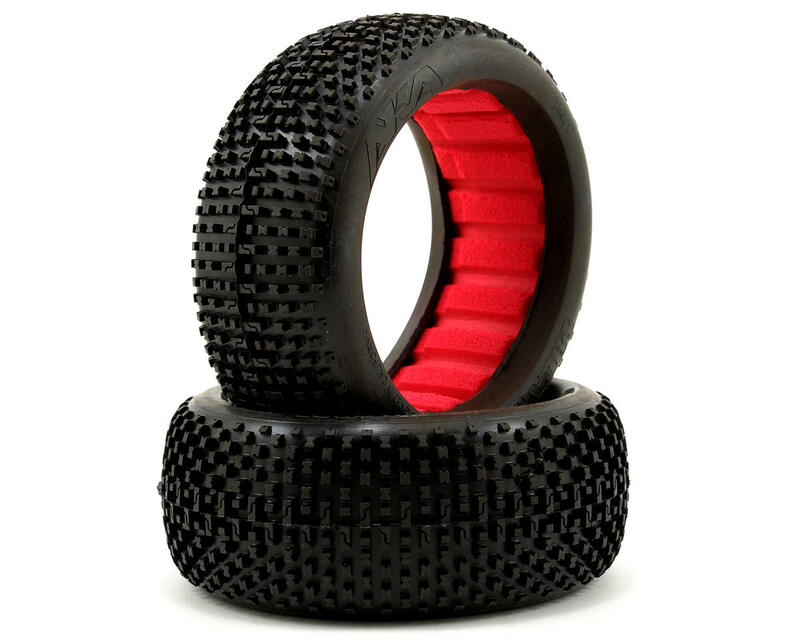 This is a set of two AKA Racing I-Beam 1/8 Buggy Tires. These tires include AKA Red inserts. 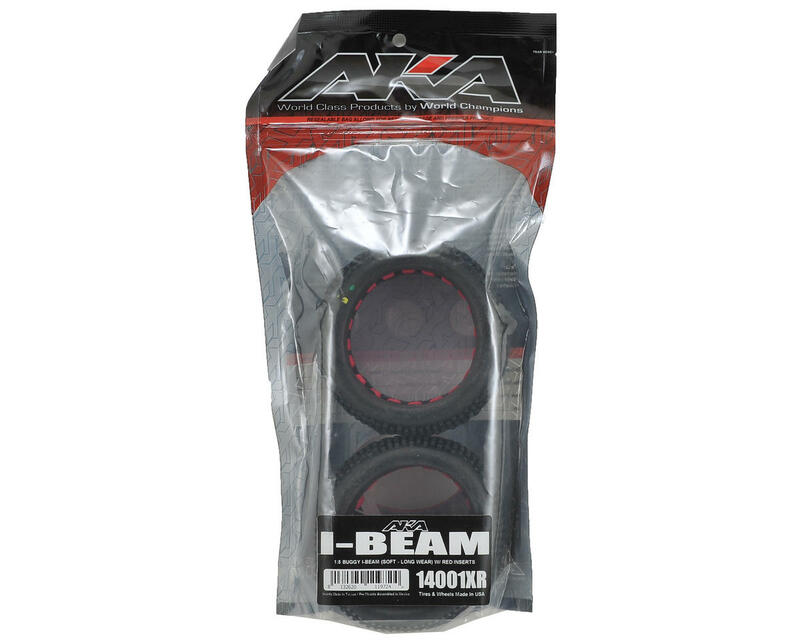 The I-BEAM is designed for traditional tracks with a little bit of loose dirt. The larger lugs allow the tire to dig deep for maximum traction when it is needed the most. The center cross split bars give good forward bite and when used on the rear allow the car to rotate better in the turns when this is desired.